Proudly flying the flag for Denmark and electronic music, this international producer has had quite the impressive career to date. With productions supported by dance elite such as Fedde Le Grand, Todd Terry, Blasterjaxx, Dannic, Don Diablo and Hardwell. KM’s releases have been prominent fixtures on Beatport, Australian ARIA and UK Club Charts, with airplay on national and global radio stations like BBC Radio 1, Sirius XM, further cementing the Dane’s position as an important part of the scene. 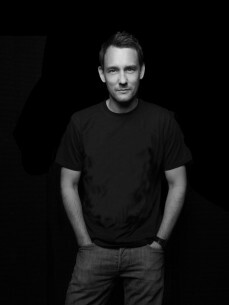 His signature sound of driving and often vocal-driven big room house has appeared on a host of major dance labels including Hardwell’s Revealed, Strictly Rhythm, Flamingo and Ministry Of Sound, whilst also being stamped on remixes for Sony Music and Universal Music artists in the UK, Australia, South Africa and Japan. He delivered his first international hit in 2008 with Get Busy, which hit number #1 on Beatport. Building on this achievement, he subsequently joined Roger Sanchez as a Stealth Recordings artist and reworked the seminal classic Touch Me (In the Morning) with a huge Avicii remix. KM also put his hand to reworks of Music Is The Answer, and Pride (A Deeper Love) – followed by one of his finest achievements, the debut album A Little Louder which claimed the coveted #1 spot on the UK Club Chart – spawned multiple hits like Yawn, A Little Louder and Don't Cry plus extensive TV, radio, online and DJ support and was licensed to over 15 territories. In & Out (Of My life) Ft Alexandra Prince, showcasing his unique sound and championing the House Groove. From Womb Japan, to Wall Miami, Marquee Sydney, Ministry of Sound London and a whole host of clubs in between, Kid Massive continues to apply his energetic and passionate sets to dance floors across the world. He is also no stranger to even larger audiences, having headlined the dance stage at Japan’s largest festival Fuji Rock Festival, Serbia’s Exit Festival, and Brighton Pride Festival to name but a few. Massive by name and massive by sound, this is one dance act that is ready to live up to his title. We can all quite literally, expect big things in the future from Kid Massive!